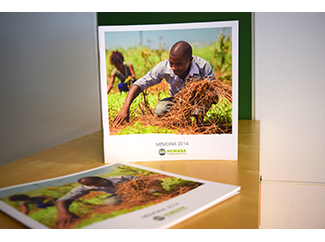 Please remember that you can download through our website the 2014 Annual Report. It is available in the Publications section. It includes information about our activities over the past year, both in terms of collection, such as sorting, shopping and development cooperaton projects. Also it includes our annual accounts. It is a readable document that recommend consulting to learn more about the dimension of our work, both here in Spain and in the South.